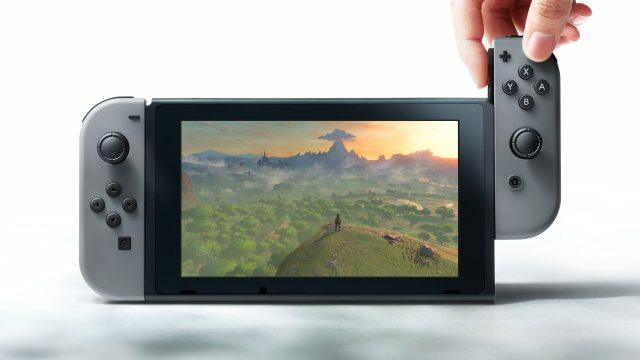 Production of the Nintendo Switch is to be doubled in order to meet strong demand, according to a report by the Wall Street Journal. The company had originally planned to manufacture eight million units of the hybrid console in 2017, with the revised figure now standing at a whopping 16 million units, says the report. Whether all of that stock will sell through to consumers before the year is out remains to be seen, but Nintendo is aiming for the 10 million mark before 2018 rolls around. Best case scenario: if all of that stock manages to sell before the next financial year, it will have surpassed the total lifetime sales of the Wii U in just 12 months. According to MCV, analyst firm SuperData pegs the Switch’s current number of sales at around the 1.5 million mark, so it’s certainly off to a good start. Whether it can continue its current streak of success remains to be seen, however, but it certainly appears as if Nintendo is confident that it will. While the likes of Super Bomberman R and 1-2 Switch have been available since launch, there’s no debating that The Legend of Zelda: Breath of the Wild has made a huge contribution to the Switch’s initial success, momentum that could be in danger of stalling, should there be a lack of additional first-party support. As far as the near-future goes, Mario Kart 8 Deluxe is really the only such title to fit the description, although Splatoon 2 and Super Mario Odyssey are both planned for release later in the year. Assuming, too, that third-party support for the Switch doesn’t taper off like it did with the Wii U, then the Big N may well meet its goal. We’ll see what the future brings, but if you’re wondering what games are available to play on the Switch right now, see here for the latest additions to the console’s digital eShop.